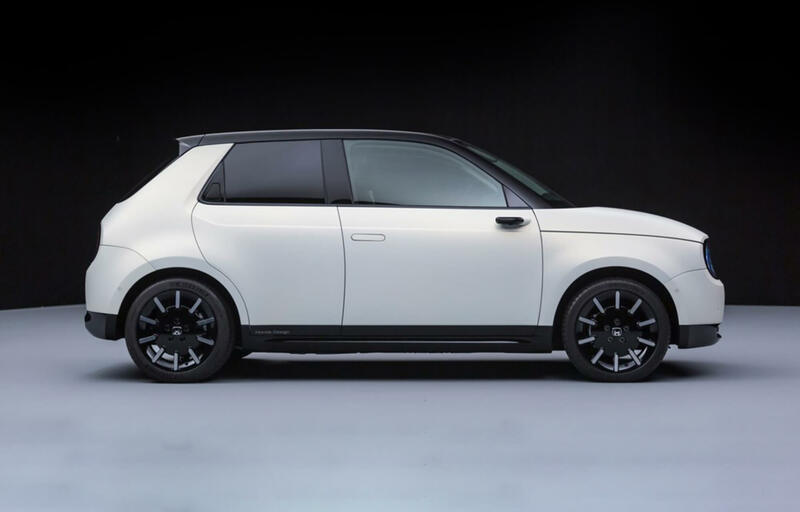 Honda’s new urban electric vehicle will be previewed at the 2019 Geneva International Motor Show in the form of the Honda e Prototype. This new model leads on from the brand’s highly acclaimed 2017 Urban EV Concept, and is a key part of Honda’s “Electric Vision” strategy for the European region. 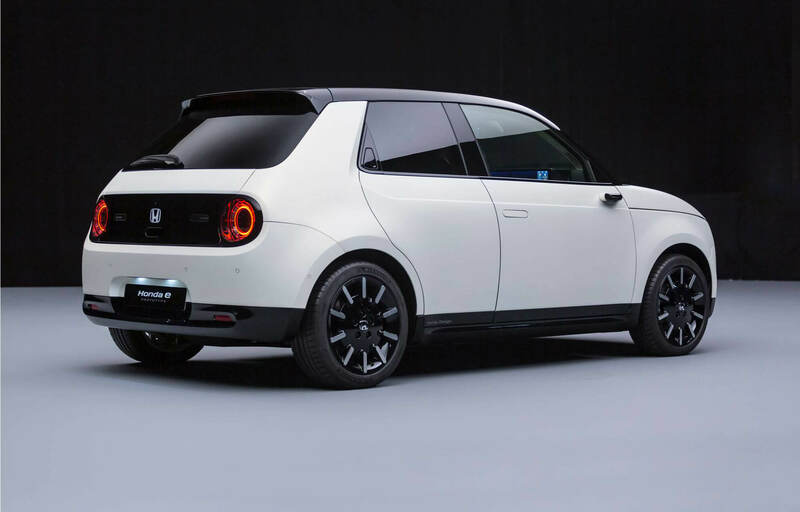 Designed to meet the needs of the modern lifestyle, the Honda e Prototype combines unique design, advanced functionality and engaging driving dynamics. The vehicle delivers a package perfect for the urban environment. The Honda e Prototype has been developed with a focus on functionality & purpose featuring a simplicity of design with unique character. The smooth body contours lead from the bonnet to the panoramic windscreen to create a continuous surface up and over the front passengers. Further enhancing aerodynamic performance, the stepless A-pillars sit virtually flush with the glass, to help deliver a quiet, refined journey. 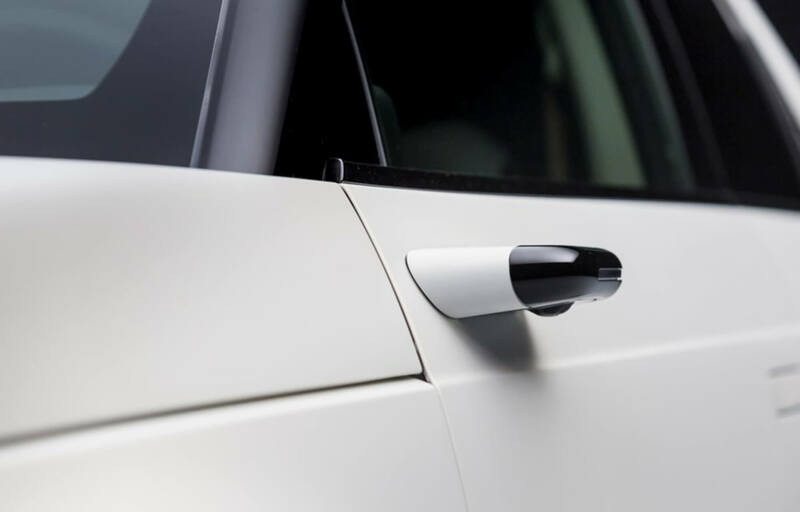 Stand-out style elements, which accentuate the clean, uncluttered profile, include flush ‘pop out’ door handles and compact cameras replacing traditional side view mirrors. Both the door handles and Camera Mirror System are unique features for a vehicle in this class. 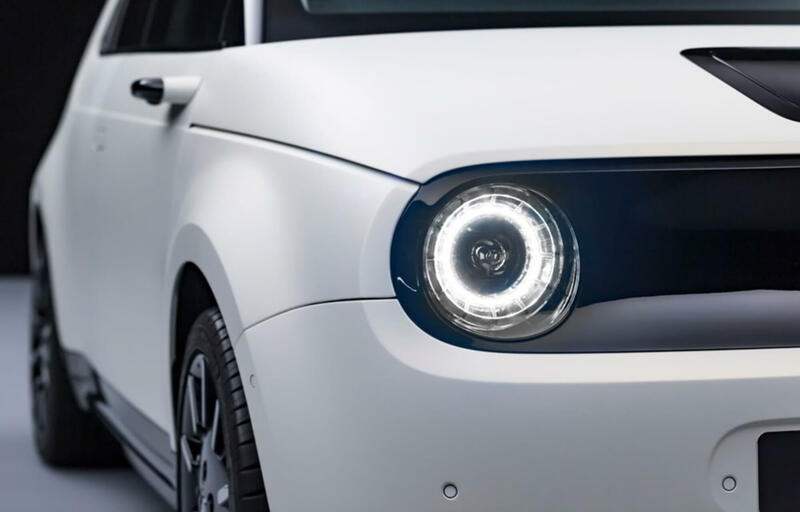 The car’s advanced charging port is integrated centrally in the bonnet for ease of use from either side of the car, with LED lighting visible through the glass cover to welcome the driver and inform of the battery charging status. Black panels with unique concave profiles at the front and rear are defining design motifs. The unique and exacting attention to detail of the round light clusters enhance the overall simple, clean design and defines the Honda e Prototype’s ‘human face’. Beneath the skin is an all-new, EV-specific platform that allows for compact proportions, while a relatively long wheelbase, wide track and short overhangs facilitate exceptional urban manoeuvrability and dynamic driving characteristics. The appearance of a low, muscular stance – emphasised by the flared wheel arches that accommodate the wide tyres – lends a dynamic accent to the simple, clean exterior design. Inside, a spacious cabin with a modern minimalist aesthetic creates a relaxed ambience for occupants. A comfortable lounge-like feel is achieved with the application of melange-style sofa fabric and other tactile materials often found in contemporary homes. The sense of spaciousness is enhanced by the walk-through flat floor in the front and rear of the cabin. To keep occupants engaged with their connected lifestyles, the intuitive and customisable dual screen horizontal display features a range of intelligent applications and services. This sophisticated high-end interface has been designed for ultimate usability and shifts the car beyond being a means of transportation to become fully integrated into modern everyday life. 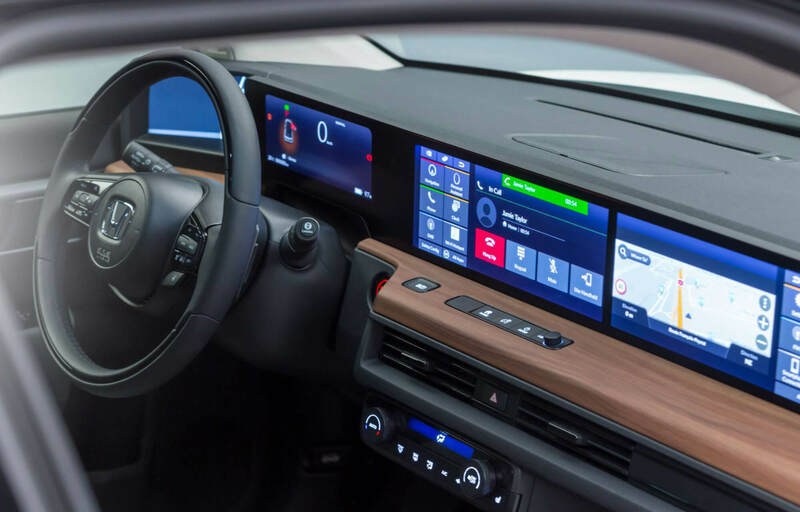 The array of next-generation digital aids is presented alongside many of the car’s comfort and infotainment controls for easy multi-tasking and simple menu navigation. Screens showing the rear-view images relayed from the Camera Mirror System are integrated at either end of the dashboard ergonomically positioned to ensure a natural feel and vision for the driver. The vehicle also features a digital rear view camera increasing the driver’s field of vision. The first compact Honda car on a dedicated EV platform delivers a blend of efficiency, performance and usability that is perfect for urban environments. 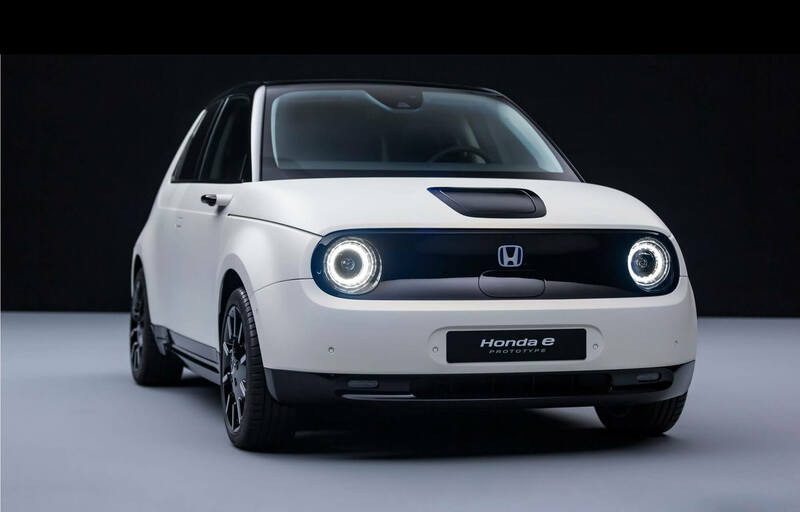 The Honda e Prototype will deliver a range of over 200km and a ‘fast charge’ functionality of 80% battery charge in 30 minutes, making it ideal for everyday commuting. On the road, the driving dynamics are focused on delivering a fun and emotive experience, with the powerful electric motor driven through rear wheels for next-generation small-car performance. 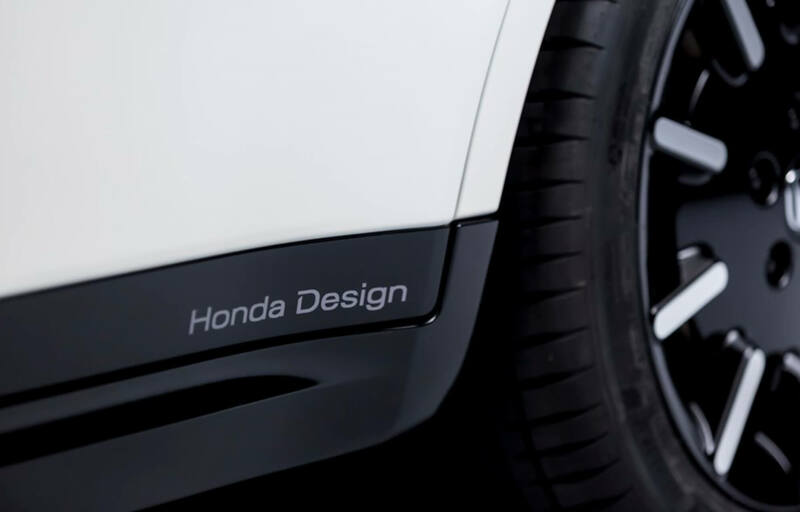 The Honda e Prototype will be unveiled on 5 March at the Geneva International Motor Show. Production of Honda’s compact urban electric vehicle will begin later this year.